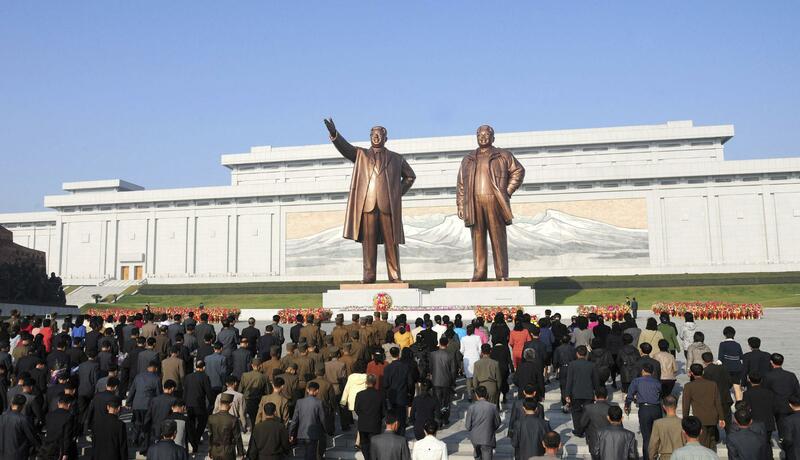 Kim Jong-un Workers' Party anniversary: North Korean leader still absent. North Korea’s propaganda machine conveyed the no-show to the world in its typical murky and indirect fashion — a state media dispatch that excluded Kim’s name from a list of senior government, military and party officials who paid their respects at an event marking the party’s 69th anniversary. South Korean activists marked the Workers’ Party anniversary by releasing balloons over the countries’ border, to which the North apparently responded by firing machine guns, to which the South responded by firing rifles, to which the North responded by firing its own rifles. No injuries or deaths were reported, though fatal exchanges of fire between the two countries are not unheard of.